The volume Advances in Italian Dialectology. 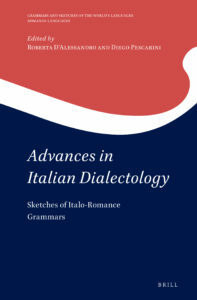 Sketches of Italo-Romance grammars, edited by Roberta D’Alessandro and Diego Pescarini, has just been released by Brill. Description and TOC can be found here.